As pop continues to wallow in the plastic doldrums of autotuned Rn B vocals wafted over sickly synth lines from the likes of David Guetta, there does seem to be creative hope on the horizon. 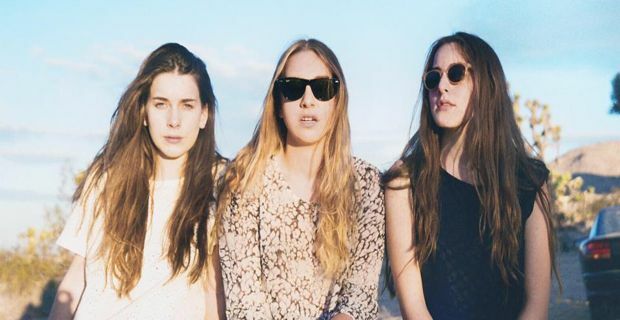 Haim – three sisters from Los Angeles have won the BBC's Sound of 2013 poll. Danielle, Este and Alana who took the prize after only one release said they were "unbelievably honoured" to have topped the poll of industry insiders. Haim are riding a wave of critical acclaim for their fusion of light indie rock and R&B vocals with the vocal rhythms of R&B. Fun and irreverent, their explosion onto the world stage also saw them score high on MTV's "Brand New for 2013" survey and are on the cover of indie bible NME. Matt Wilkinson on NME sees the sisters as part of an indie pop revival, heralding a new breed that are happy to pose for press photos and play the pop game to get heard rather than skulk in the shadows and bemoan the Babylon of commercialism. Este, Alana and Danielle cut their teeth in a group called Rockinhaim playing alongside their parents. After the family / band split, the girls had more than enough experience to go it alone on their own terms. "It was the best school," said guitarist Anna to the Guardian. "To learn songs, we'd have to record them off the radio to cassette tape and then press pause and play for hours to learn all the chords and lyrics by ear. By the end we knew every chord progression out there." With the early plaudits pouring in – the girls are definitely ones to watch in 2013.